IT IS POSSIBLE TO ENJOY A DEBT-FREE CHRISTMAS! NO MATTER THE INCOME . NO MATTER HOW MUCH DEBT YOU ALREADY HAVE. Where YOUR FINANCES are in order. No more letting MONEY causing you stress. For the past few years, I have been making sure that prior to and during the upcoming Christmas season we are financially ready to handle what the season brings with it. Is there a better time than now to start thinking about Christmas and the upcoming craziness that comes with it? If you are the type of person that dislikes the holiday season (not because it’s Christmas, but because of the financial strain it leaves you), then this eBook is for you. I want you to have a wonderful Christmas. I want you to have a debt-free Christmas. That may sound impossible, but I know it can be done. I want to help you get there. 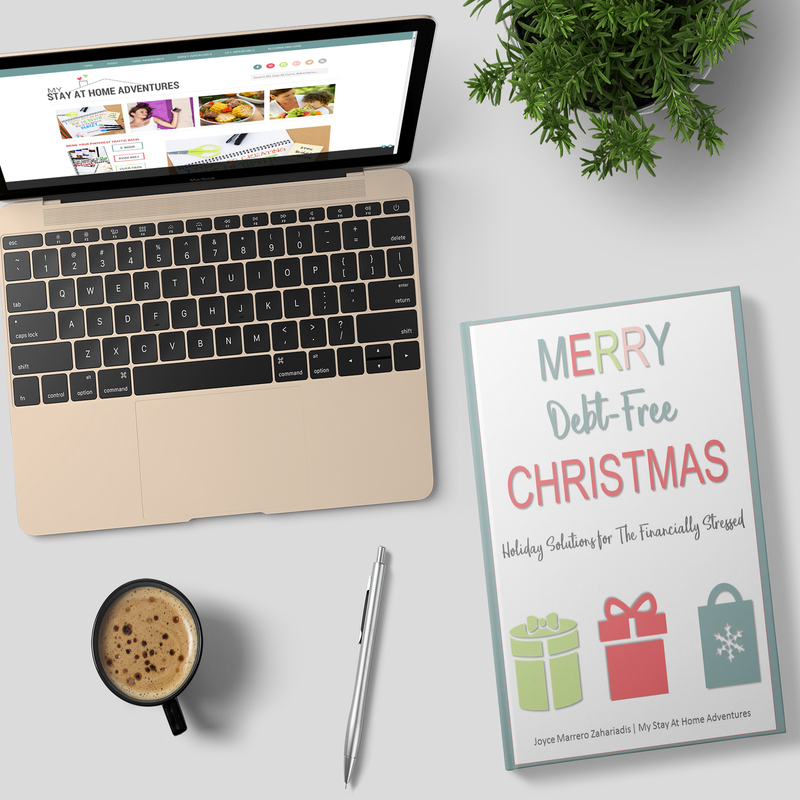 After a lot of thought of my previous spending habits, the changes I have made, and the joy that has brought me, I decided to write this eBook to help you have a debt-free Christmas. I want you to enjoy your holiday season the way it was intended. Christmas is a wonderful time of the year, but Christmas can also be very hard financially for many families. We seem to be influenced by society, or our children, and we end up overspending. Or, we are just not financially ready when Christmas season makes its way around again. Is it possible to have a debt-free Christmas? What if you already have debt? Is it even possible to have a debt-free Christmas if you’re already behind on your finances? It is possible to have a debt-free Christmas, even if you do have debt. 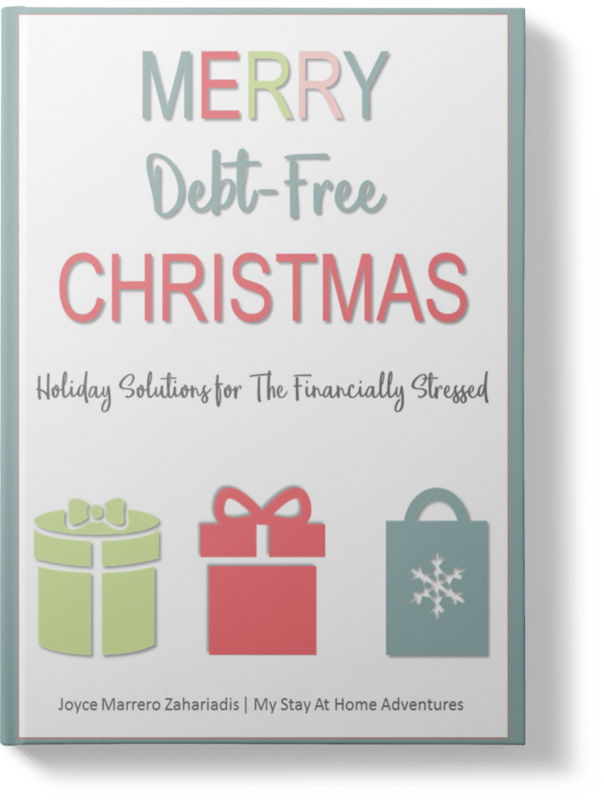 I believe you can have a financially stress-free Christmas without adding more debt, and this eBook will help you understand how to make that happen for your family. ​​As someone who has a bit of a spending problem, this was just the eBook that I needed this year! I'm a bit of an emotional spender, so I enjoy a little retail therapy now and then. Sometimes I think I have a tendency to spoil my kids and while I'm sure they appreciate it- they don't need all of the stuff that they have. With Joyce's eBook + workbook, I can now spend without the guilt because I'm in control of my money. And it's also nice to know that I don't have to go into debt just to have a great Christmas. ​If you really want to have a Debt Free Christmas, this book will deliver. You'll have to do the work and some of it will be hard, but you'll have a blueprint of exactly what to do. After you've enjoyed your first debt-free Christmas, go through the book again to be debt-free all the time. The book has ALL the tools you need to successfully manage your money no matter how out of control you feel it is. It's all about having the right mindset, right? Understanding the reason we manage our finances the way we do its important. Why do we spend our money the way we do? How do we change it? Our dream of having a debt-free Christmas won't happen until we have the perfect plan. Learn how to create a plan that will help you achieve your goals of having a debt-free Christmas. If creating a budget was easy, everyone will have one. The truth is that many people never even heard of a budget. Learn how you can start creating a budget that works for you. You will learn everyday strategies many use to increase their income and save more money. 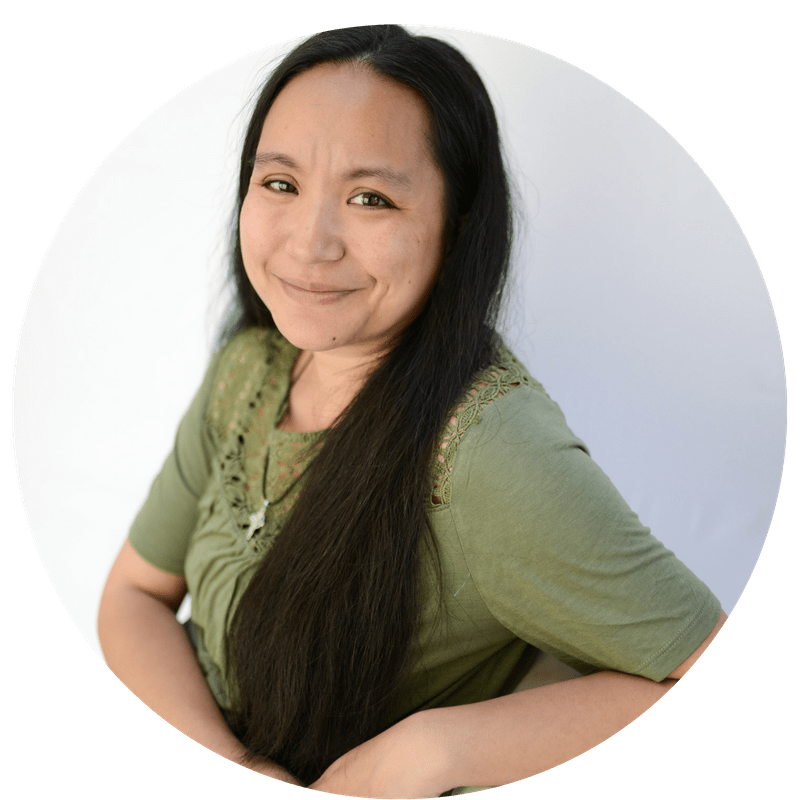 ​Joyce Marrero - Zahariadis is the writer and creator of My Stay At Home Adventures, a website she started in 2013 to help others with their personal finances. 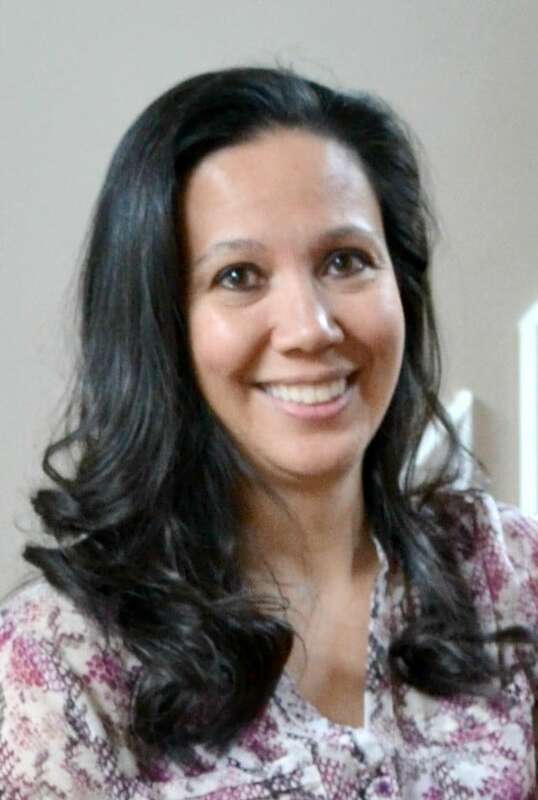 A Latina mom of 4 and a former retail manager for 15 years, Joyce is now a stay-at-home mom who truly enjoys helping others get their finances in order. From changing her mindset about money and life, Joyce has been able to thrive as a stay-at-home mom, even with less money. 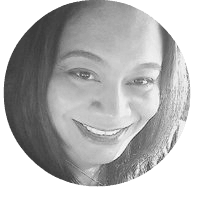 Her honest and funny approach to personal finances has led others to trust her with support and solutions to their financial problems. Need a workbook to motivate you? We got it! 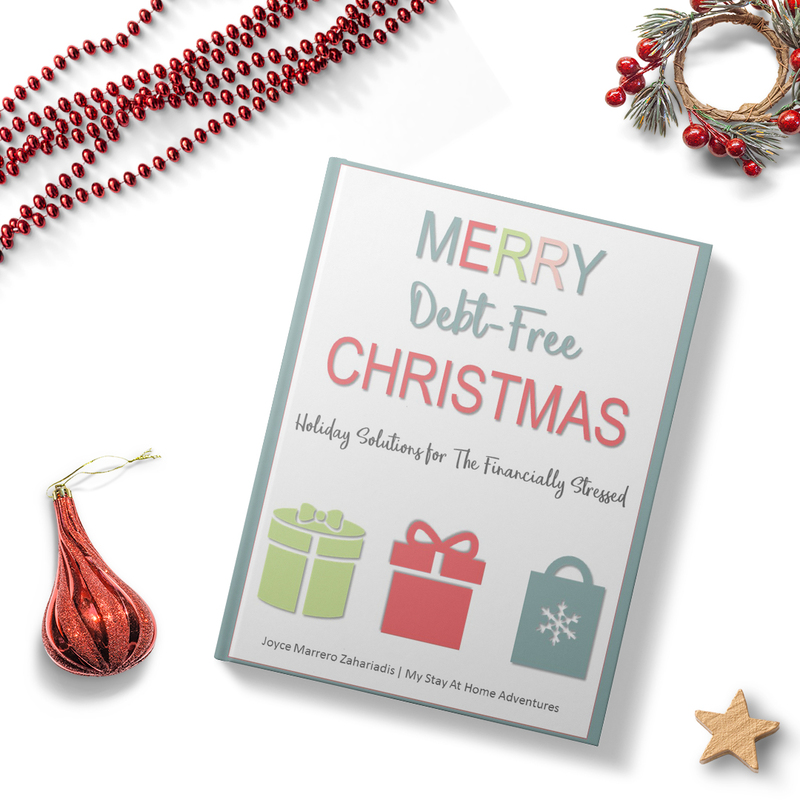 Purchase Merry Debt-Free Christmas today you will receive the accompanied workbook (a $15 exclusive item) for free! The eBook & Workbook for $17*! 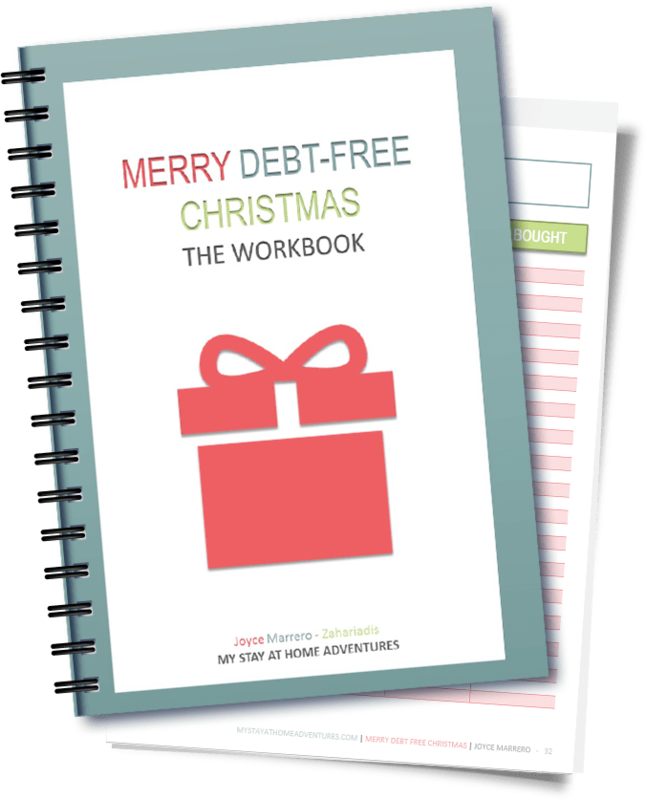 Merry Debt-Free Christmas + Workbook = Savings! For a low price of $17 you will get step by step guide to help you achieve your goals of a debt-free Christmas! This is a limited time offer! HURRY! 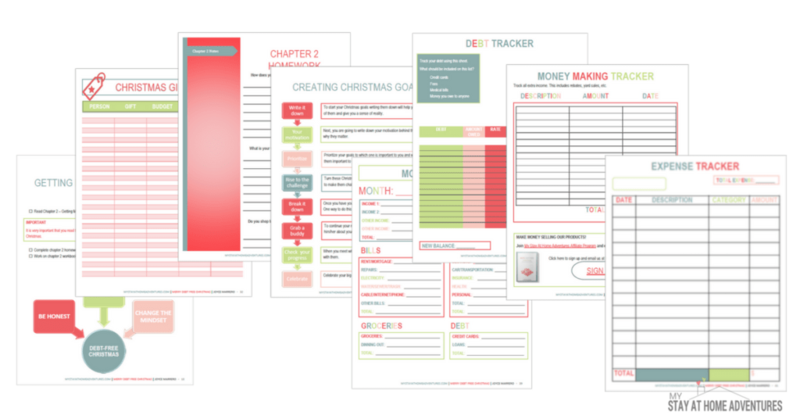 A digital download wtih over 50 pages (6 chapters) full of information that will help you keep track of your finances and prepare you to enjoy a debt-free Christmas. 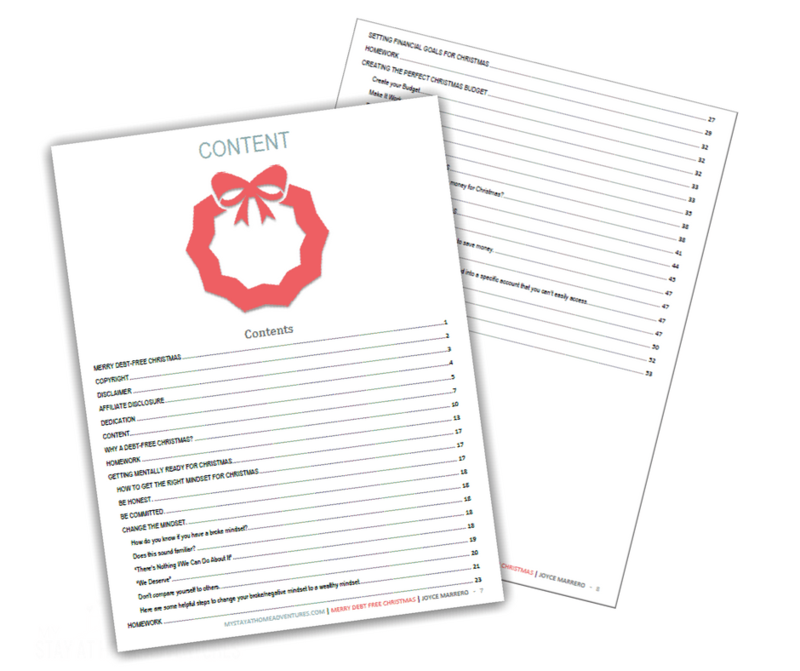 ​The Merry Debt-Free Christmas is 52 pages that will help you stay on track of your finances. 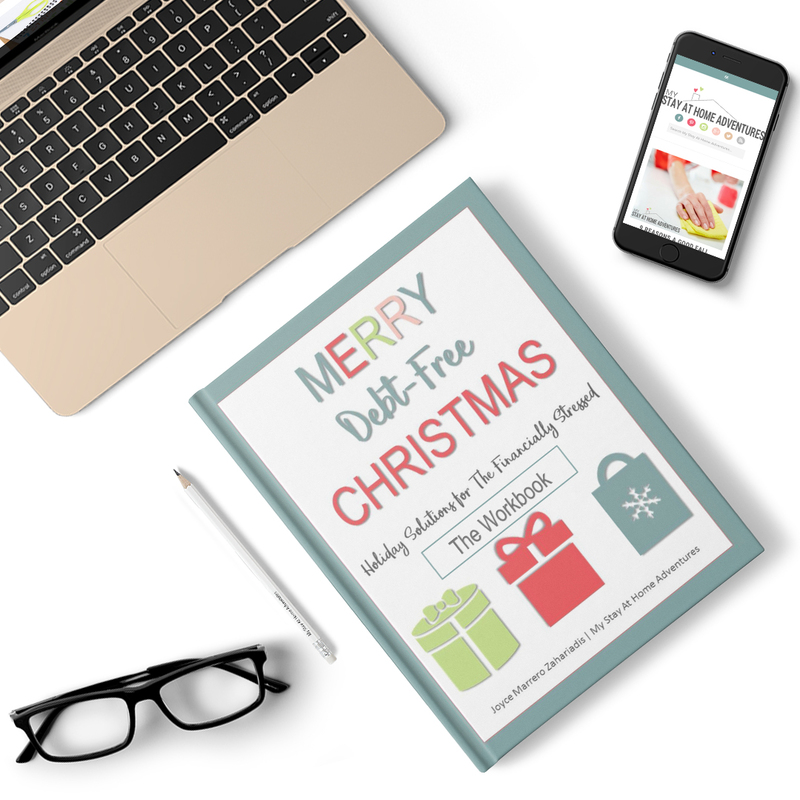 While you read Merry Debt Free Christmas eBook you can use the workbook to help you write down notes, plans, track your expenses, help you create a budget and more!